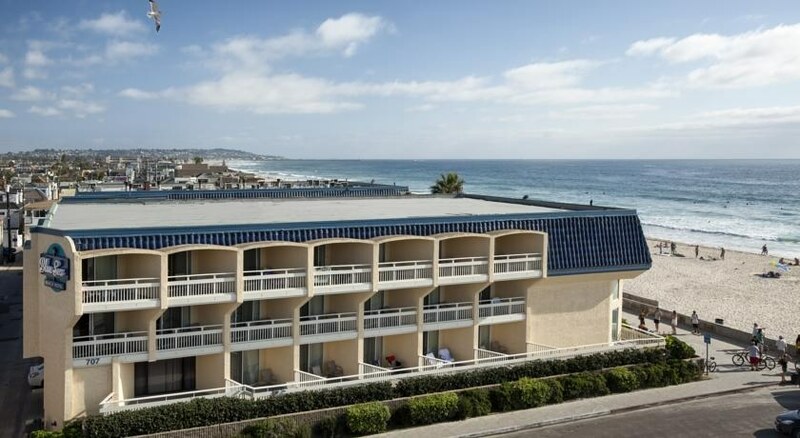 Enjoy beachfront accommodations and convenient access to key area attractions such as SeaWorld, the San Diego Zoo and LegoLand while staying at this San Diego, California hotel. Welcome to fun in the sun while staying at the Best Western Blue Sea Lodge. 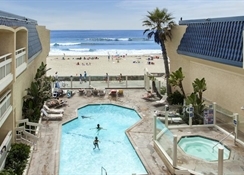 Located in southern California's Pacific Beach area, this beachfront San Diego hotel features well-appointed guest rooms and suites, most with beautiful views of the Pacific Ocean. 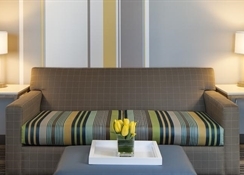 Each guest room offers cable satellite television and free wireless high-speed Internet access for guests' convenience. 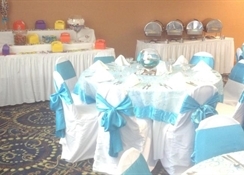 This hotel offers a delicious breakfast each morning before heading out to spend the day at the beach or relaxing in the outdoor heated swimming pool and hot tub. 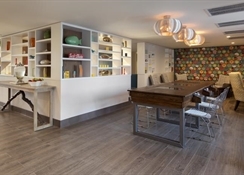 Other hotel amenities include guest laundry, airport shuttle services and a 24 hour business center. 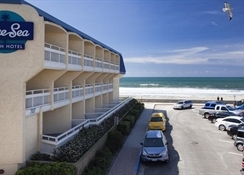 This Best Western Blue Sea Lodge is located on the beachfront so guests can walk right out the door to miles of beautiful beaches ideal for surfers, volleyball players and families wanting a day of water fun. Just minutes away in Pacific Beach and Mission Beach, find a variety of local shops and restaurants as well as Belmont Park, home to the oldest wooden roller coaster. Families visiting the area will also enjoy convenient access to SeaWorld, LegoLand and the San Diego Zoo. Spend an afternoon strolling through the museums at Balboa Park or visit the Del Hotel on Coronado Island. 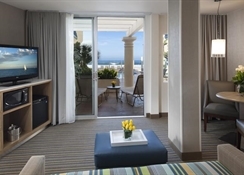 The friendly, helpful staff at the Best Western Blue Sea Lodge is ready to ensure a fun-filled memorable stay in San Diego, California.